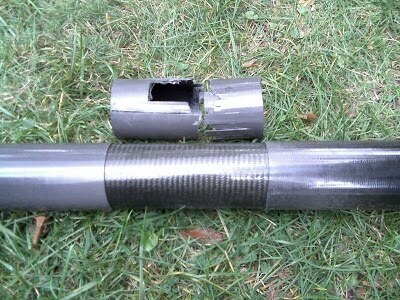 So we received a very nice internal sleeve from Windrush Yachts to repair JB’s broken section. The sleeve was a perfect fit and only needed some light surface sanding. The first step was to cut off the broken bits with a hacksaw. 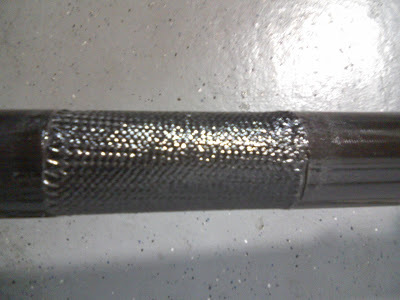 The sleeve was bonded in place with epoxy and colloidal silica. 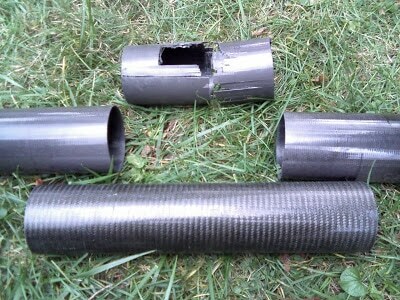 We also used a bit of carbon sleeve to build up the void where the broken section was. This cloth provides no structure and is simply intended to fill the space. 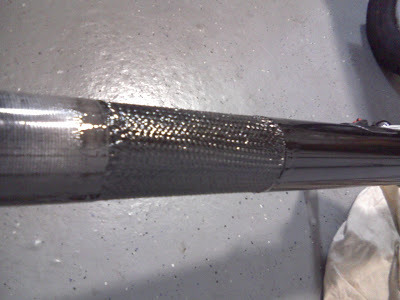 The next step will be to lay up uni and a longer sleeve of carbon over the area that covers both joints which will provide much of the strength. I will post pics of the next steps as they are completed.